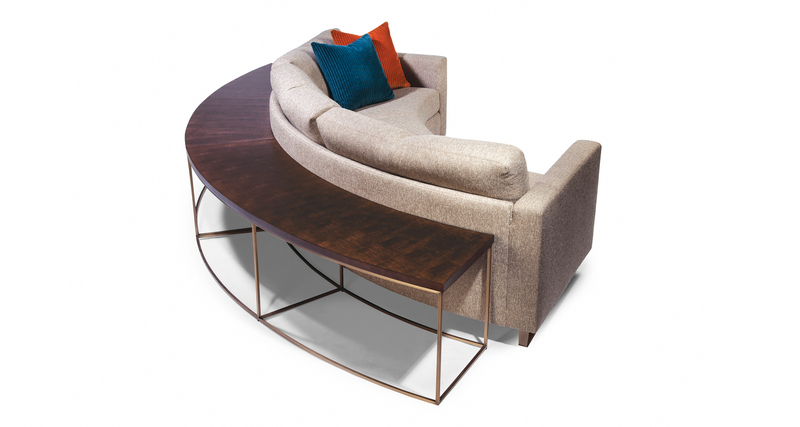 Designed in 1968 by Milo Baughman, our Design Classic Circle Sofa Table is a modular modern classic. Designed to work in conjunction with our Milo Baughman Circle Sofa series, the Circle Sofa Table features a quartered figured maple veneer top available in any TC wood finish. Available with a brushed bronze base (No. 1331-30-B) or with a polished stainless steel base (No. 1331-30). Top is quartered figured maple veneer available in any TC wood finish. Must specify. 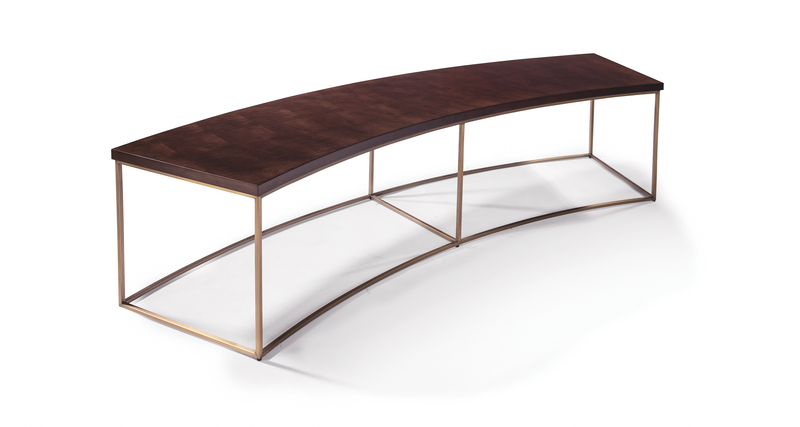 Base: brushed bronze finish. Works in conjunction with our Milo Baughman Circle Sofa series. Shown twice with our No. 1224-303 Sofa in second slider image.